ARE YOU PLANNING A CHIC VINTAGE WEDDING? PERHAPS BOHEMIAN FRENCH PROVENÇAL IS MORE YOUR STYLE? OR EVEN MODERN GLAMOUR OR COUNTRY GARDEN? The Sunshine Coast Hinterland villages of Montville, Flaxton and Maleny offer it all! 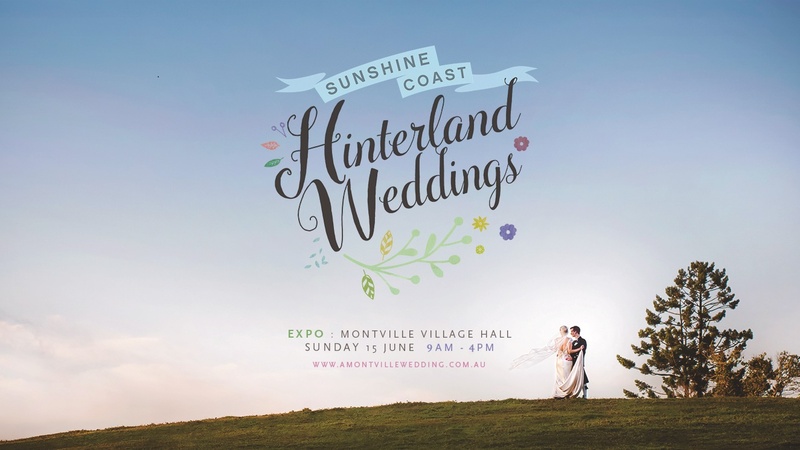 The Hinterland Wedding Expo will showcase the best of what our Hinterland Wedding Professionals can do to create your perfect day. There will be some absolutely gorgeous displays, with samples and details to provide you with invaluable information. We want to ensure your wedding is picture perfect and creates heartfelt memories. There will be some amazing door prizes on offer, including accommodation in some of your most romantic cottages and retreats such as The Falls & Spicers Clovelly Estate; there will be pampering packages and even a stunning bridal gown compliments of Allgoods Bridal. At 3pm we'll be serving canapes & a glass of bubbly on the lawn as we prepare inside for a visual feast of bridal gowns – vintage, cutting-edge, traditional, bohemian – gowns by famed designers such as Allgoods, ELizabeth De Varga, Judy Copely, Erin Clare Couture and Silver Sixpence. The fabulous prize packages will be drawn during the parade and you must be present to win. ENTRY IS FREE – we want you come along and enjoy a wonderful day! Times: 9.00am to 4.00pm for the entire Expo / 3.00 pm for Catwalks and Canapes (includes lucky door prize draws).